September | 2016 | #Hope lives! On Monday we will hear the candidates for the Republican and Democratic parties face off in a critical debate. The country is ready for a Macho billionaire TV star personality, as he takes on the ex Senator from NY and the Secretary of State of the opposing party, in a head to head, eye to eye confrontation. Millions supporting each candidate will tune in and each one will have their own perception, of what they will see and hear coming out from the idiot tube. Expectations are high that these debates could be the turning point in this election, on who will be the next leader of the free world. There is a chasm of division between the two party favorites in ideology, policy, administrative capabilities, beliefs and perception. The wonder of it all is, that each of these viewers will hear or see, what he likes about his\her candidate, and ignore the other arguments. It are the undecided voters who are the prize outcome for each party, and as their messages are so different, we will have very different results. We have a set of viewers who see a nationalist, strong, defender of white Christian values, who will Make America Great again. The young boy who was sent off to an academy and the treatment he received there, made him forever a fighter in his own right. Discipline was thrust on a young Donald as he was sent away from his protective mother, to the school where he was on his own. His privileged upbringing in one of the most lucrative real estate markets in our world of New York City, have made him a billionaire. Having gone through multiple bankruptcies of his Casino Empire in Atlantic City he has ridden the revival of NYC, into a thriving licensing business worldwide. From Fifth Avenue he has reestablished his reputation, and now has turned his desire for supremacy, into a bid for the presidency of the United States. He has demolished his many opponents in the previous debates and is now ready to crush, the opposition candidate in a winner takes all during the upcoming debates. Madame Secretary to us mere mortals has tweeted that “Girls” will rule the world. Western civilization is going to have Clinton, May, Merkel leading the top European powers and facing up to the Middle East, China and Russia. America’s leading trade partners Canada and Mexico are worried about continuing our mutually beneficial NAFTA relationships. Angela has already been leading Germany and Europe through some tough times and keeping the economy and social justice growing. If Hillary becomes the first female President, she will have strong confident women to reach out to, across the ocean. Her deep knowledge of policy, global conditions and established relationships with world leaders, will serve her well, in getting the new administration quickly up to speed. For the bulk of the dissatisfied white men seeking economic and racial security, Mr. Trump offers a vision of a different world, where their America will rule supreme again. He will use the words and the gestures that they understand, and they will cheer him on. For the young millennials with Bernie out and Obama leaving, a new leader is hard to find and which way they go, is uncertain. If they become disenchanted with politics and withdraw and if the blacks and other minorities do not come out to vote, then Trump will be our next president. It is getting harder for Hillary to raise the enthusiasm levels in her larger base, and get the excitement flowing, which will drive the ordinary people to come out in droves, and vote for her. 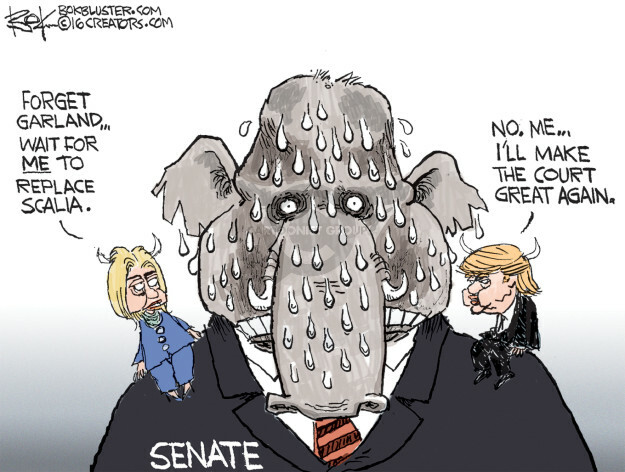 The fate of the senate and the house depends on the wow factor. How well do these two candidates wow their audience and what tone will the debates take. If either of them can make the common people engaged to come out to vote, it will change the composition of congress. Republicans are pouring money into the Senate and Congress races to keep their majority. Democrats do not have their best candidate and are struggling to get a simple message across, which will cause millions to vote for them, in difficult races. The house is divided and it should change to become more efficient, but this election sadly has no such leader, who can bring it all together. We are in for Partisan policies and Gerry meandering will carry the day in the end, as seats secured by years of careful redistricting, will yield the desired but stagnant results. The economic and political leadership of the rest of the world look up at America, as a beacon of hope for better things to come in the future. Unfortunately neither candidate has a visionary approach to the economy, or to social change. One is expected to largely carry on the current policies and bring on more of the same, leading to stability and steady but underwhelming growth. The other is an unknown and more rhetoric, than capability of actual implementation. So one will competently implement progressive policies, while the other will bombastically issue dictates, which others will have to struggle to meet. Either way we are in for a ride, as there is an element of surprise in either house, as we know the Presidency changes the one who enters the White House. America will continue to prosper and its people will develop new models for future happiness. Our best hope is that we have a clear winner. That way the populace can decide who they will get, and start the adjustment process of being governed by their chosen leader. Good bad or ugly, this is our choice at the end of the day. Life is complicated enough, that we need some time to ensure, we are progressing towards a better tomorrow. Each candidate has his\her faults and strengths and there are more grey areas, than black and white, in politics. Our pursuit of happiness lies in how we traverse these grey areas. Are we more inclusive, individualistic, freedom loving, compassionate and caring towards others that are less fortunate than us, will be the defining goals? We live in an abundant universe and can we continue to reach for the stars, or will be bound down by the stripes to go down a lesser road? Our fate hangs by a thread in these debates, and we must engage to demand a better future, or become permanent second class citizens of tomorrow.